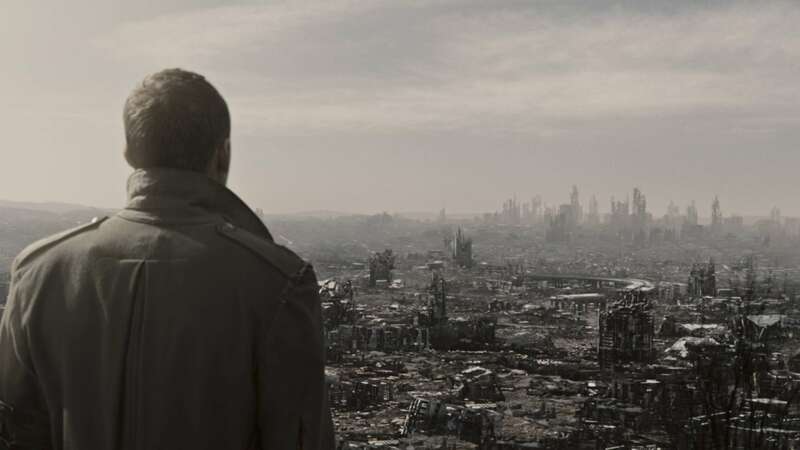 Continuing with my series of the Stories that Never Were, I’m going to be tackling Terminator: Salvation. Honestly I was a lot more disappointed with Salvation than I was with Terminator 3, probably because my expectations were higher. I didn’t expect Terminator 3 to be anything other than a goofy attempt to recapture the magic of Terminator 2. Salvation, on the other hand, promised to be the epic story of the War Against the Machines that we’ve been hearing about through three movies. This was supposed to be the grand beginning of a sweeping and epic new trilogy that would finally show us how John Connor defeated Skynet and set in motion the events of the original two movies. And yet when it was done, all I could really say was…meh. It wasn’t a horrible movie, but it also wasn’t good. It fell into that bland, gray area of mediocrity where you’d probably only watch it again if it came on TV and the batteries in the remote were dead. It’s a shame, because we could really have had a great movie here, a story that deserved to be told. In the opening sequence of Terminator 2, we see the ragged human survivors fighting a pitched battle in the bombed out ruins of Los Angeles. The year is 2029. And there are lasers, making it infinitely more awesome. The intro to Salvation starts out with a piece of really lazy text exposition and some guy we’ve met being executed. Basically that sets the tone for the whole movie; lazy writing and following around some unknown character for over half the movie. You can find another breakdown I did of Salvation right here, but let me give you the cliffnotes. Basically the entire movie is plot driven, no characters make any meaningful choices and thus there’s no character growth. Not that there is anything to grow since none of the characters get any characterization at all beyond “gruff bearded manly soldiers”. A story about the importance of human life, with a focus on John Connor saving people and not destroying terminators. We should have started, not with some gruff guy in prison, but with John and Kate trying to avoid a bunch of early-model Terminators (I’m thinking slightly updated models of the T-1 rovers from T3) as they scour the city of what little remains of human life. 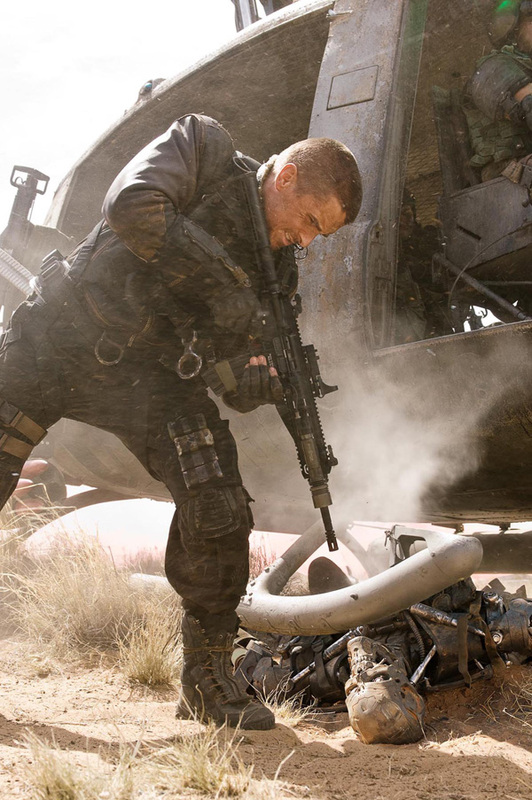 Remember, the entire premise of this movie is supposed to be how John Connor went from scared 13-year-old boy in T2, unemployed douchebag in T3, to unstoppable badass in T5 (or whatever title Salvation’s sequel would have gone under had this movie not driven a stake through the heart of the franchise.) Salvation should have shown John just struggling to survive at this point, between the radiation, the heat and the lack of drinkable water in southern California, just surviving would have been a challenge. I barely survived my last trip to L.A. and I had a car and running water. I’m not asking for a realistic survival story like The Road or The Grey (or anything with the word The in it apparently), I’m just asking for a bit of struggle here. So after some early scenes of John and Kate trying to survive and some, you know, actual foundation scenes for their romance, they run into the remains of a national guard unit or even just some police officers in run down SWAT gear. Suddenly there’s five or six of them, and fighting their way through the city is that much easier, and they meet more and more people as they fight their way through the city. Some are military, some are just people who had guns in their houses and are fighting desperately to survive. All this time John falls into a leadership roll, perhaps butting heads with some more experienced military characters, but this is John’s time. He’s the savior of mankind, and with that fact in mind, he fearlessly leads his people through the rubble. 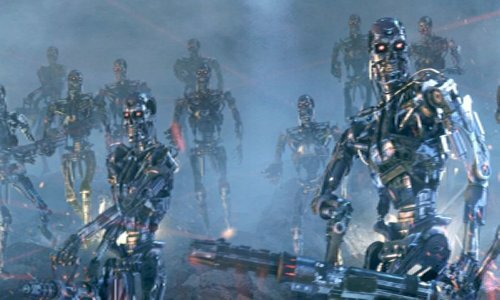 They rescue some civilians from the outskirts of the city and pass around whatever spare weapons they can muster and prepare to make a stand against the advancing Terminator army, scouring the area for any food and water they can find. With a break in the action we can build some relationships between the characters beyond manly shoulder grabs and grim speeches. Remember that one guy in Salvation that loses his brother in an off-scene death and who we don’t care about since we just met him? Yeah, maybe we could actually show him and John growing to be friends, and show the brother not dead for a few minutes before killing him. 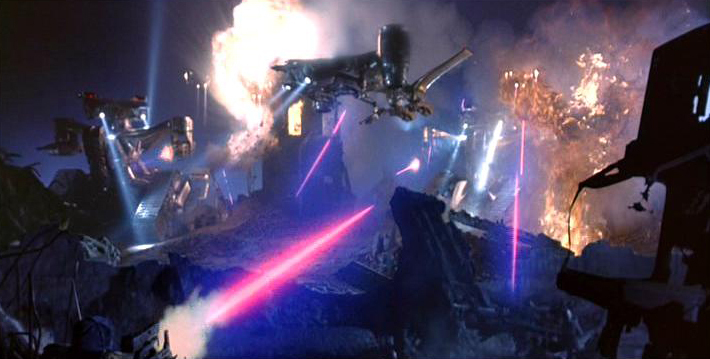 Finally the Terminators find the group and John is forced to coordinate the defense and evacuation of the civilians. Then he makes a mistake. Yeah you heard me; John Connor, savior of humanity, makes a mistake. He gets so caught up in the upbringing of his childhood, decades of being told he’s special and will destroy Skynet, that he actually believes he can’t make any mistakes; he’s fated to succeed. And since these are early model terminators, they seem far less threatening than the hulking T-101 and T-1000’s of his youth. He launches a counterattack thinking that his legend of invincibility must begin with this one battle. Here, today, Skynet ends! Yeah, I’m pretty sure we’re screwed. Except it’s not a battle. It’s a massacre, and it’s only one of a thousand that will occur in this metal holocaust. This could have been a powerful moment to experience because we, like John, have been told that he’s going to destroy Skynet. We’ve watched 3 movies over the course of thirty years telling us John Connor is a messiah, imagine what a shock it could have been to see the man we’ve been told is a strategic and tactical genius, get hundreds or possibly thousands slaughtered in a fool-hardy attack. It would make John more relateable, because now he’s no longer a flawless messianic figure, and it would reinforce the stakes of the story by reminding us that he’s just human and that death is a very real possibility if he doesn’t smarten up. Remember the final charge in The Last Samurai? I imagine this scene going a lot like that, with people dying by the truckload underneath a hail of fire from Terminators and for a minute it looks like maybe, just maybe, they’ll win. Then the hovering Hunter-Killers arrive and begin mowing people down what few people remain, all while John watches, half-conscious, as they’re slaughtered to the last man. So John is wounded and carried off the field by a small handful of men, including the swat-team/military people from earlier. That guy whose brother died in Salvation? Well now we can get let his brother die. Critically wounded in the fight, the brother and John can’t do anything but watch as the man slowly bleeds to death on a slab of shattered concrete. John is indirectly responsible for his death, because if he hadn’t been so reckless that guy might still be alive. Now its up to him to regain his trust with the still living brother, who had become John’s right arm in battle but who is now distant and bitter. Meanwhile Kate flees with another group of survivors wielding only a handful of guns. The two are now separated and John is going to have to find her. When John wakes up and sees his scarred face, he realizes that he is not invincible and that it isn’t wise to tempt fate when it comes to his survival or the survival of humanity. Maybe he even remembers his mother’s mantra of “the future’s not set” and understands that those words apply to his fate as a hero as well. That’s when he realizes that brute strength isn’t going to save them, when faced with tireless and uncaring war machines, patience, planning and precision are what it will take to fight them. Maybe these terminators need some kind of battery replacement. I mean as smart as Skynet probably is, the resources it would need to start making the fusion-cells we see in T3 would take years to gather and process. They don’t have lasers yet so these early terminators could conceivably get by on a large battery; the point is that they should have some sort of weakness at this stage. Not an overt weakness, something subtle that John notices because of his unique understanding of Terminators from his time with Arnold. He exploits these weaknesses to eliminate a small fraction of the Terminators between him and Kate. He’s not trying to win the war here, it’s just a simple in and out rescue mission. He’s realized its not a glorious military campaign that will make him a savior, it will be rescuing the people that are still alive. To keep them safe until humanity has regrouped and has the strength to fight back. 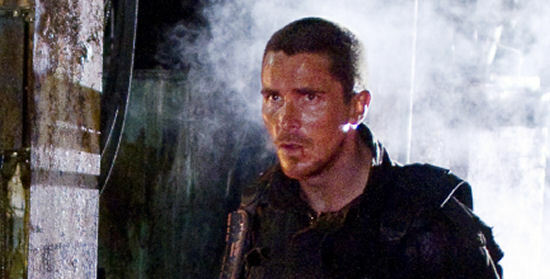 John finds Kate and the others, and they begin a desperate sprint back to the safety of their safe zone as terminators begin closing in on them from all sides, drawn to their location by the destruction of the others. They duck down a narrow alley filled with debris to escape some bipedal terminators that are still too primitive to navigate obstacles. A track mounted hunter-killer rolls up on the other side of the alley, but before it can open fire it’s blown away by an RPG. This is where we reveal the escape route is meticulously plotted, and as the group retreats there is always at least one fire-team covering them. Their objective isn’t to destroy terminators, that’s a mere side-effect of their real job, which is to save as many people as they can. This is the first shot of John Connor we see in the movie. In my version, this would be one of the last scenes; this is the result of his journey, putting a final bullet to the head of a Terminator as his people get to safety. And with this point firmly driven home, John triumphantly returns with his lieutenant. The group take what little water they can find and some beaten up cars and flee into the desert. Ready to rebuild and regroup for the day when they can finally take the fight to Skynet’s doorsteps. In the end we realize that John’s fate isn’t to lead humanity to a quick and easy victory. The battle for Los Angeles was lost before it even started. And as the screen fades to black, the titular Terminator music begins and we realize that the War against the Machines is just beginning. It’s a shame we didn’t get it. That was really insightful. I loved the part where you said that John Conner should make a mistake, to make him more relatable. Damn these modern corporations, killing old franchises we know and love (cough, cough Aliens: Colonial Marines). Can you please, please, PLEASE do a narrative review of Bioshock Infinite. I along with everyone else who played the game needs to have the ending broken down because it was more confusing than trying to understand inception without pausing the movie and I’m sure we would all love to see you tear apart this games themes and plot like a big daddy on a splicer. Thanks Grayson, glad you enjoyed it! My gaming computer died last week so I’ll be picking up the Xbox360 edition of the game today. I hear the campaign isn’t too long, so hopefully I’ll get a review posted by Friday or Saturday, work permitting. I’ve heard that Bioshock Infinite has a terrific story, so I’ll definitely be getting a review out there as soon as I can.